We survived Christmas without our family. Thank goodness for technology. We spent time online with each of our three daughters and families... And we were able to watch our youngest grand daughter open all her gifts. It was fun and so heart warming. Later in the day, here in the community, we had an organized pot luck turkey dinner with 5 other couples followed by a Yankee swap. It was lots of fun. 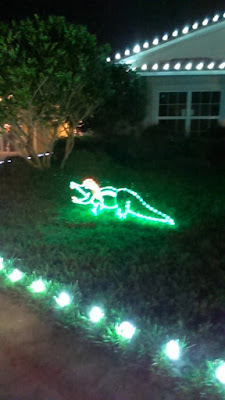 In Florida, where alligators are our respected back yard neighbors, they are honored on the front yards as decorations. 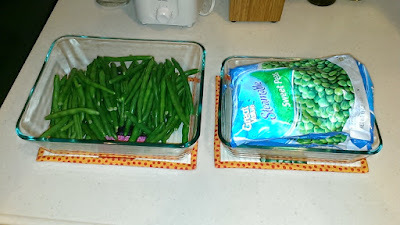 So, for our Christmas pot luck dinner, I brought vegetables. I used a couple of borrowed casserole dishes to put them in. 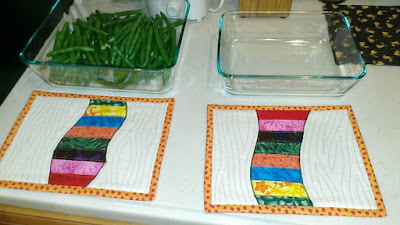 With time on my hands, I made these two hot pot pads to fit the dishes. I considered making Christmas themed hot pads, but decided to use scraps from my Canada flag quilt. I will use these hot pads again. when I return the dishes, I'll send along the custom made hot pads. Cute, Eh.. Cute indeed. Love the curve So! 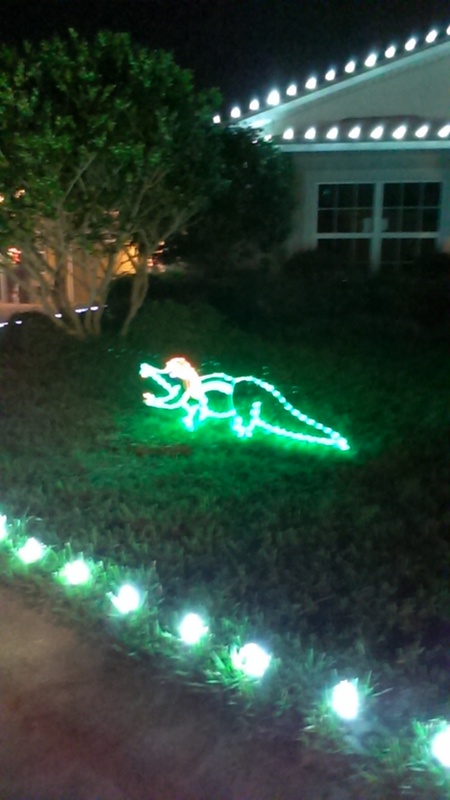 Happy 2016 Gail...may it be a better one for me and a great one for YOU!